New York-based video distributor Kino Lorber, Inc. has entered into an agreement to distribute Holland Releasing's SANTA'S COOL HOLIDAY FILM FESTIVAL. 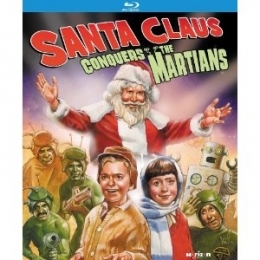 Kino will have home video, streaming, cable and broadcast rights to the program, which includes the 1964 holiday classic SANTA CLAUS CONQUERS THE MARTIANS. Holland retains theatrical distribution of the two-hour program, which broke company records last December with 224 theaters playing the film worldwide. The street date of the DVD and Blu-Ray release is October 30, 2012.